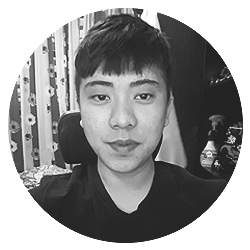 Hi my name is Terence Thien, I'm currently 26 years old from Malaysia. I'm a designer with 9 years of experience. I believe quality is always first and giving value to my customers is my priority. Which is why I'm helping people craft better businesses through digital marketing. Since 2008, I started with no experience to a self-taught designer to improve style and the looks of businesses around the world. I have worked with numerous startups & businesses such as Notedock, VideoReviewLabs, Synup, Captivation Software, Eksdyne, Aviation, & KPAway Skincare, and more.